Discovery Communications Inc. is in talks with Twitter Inc. and Facebook Inc. to show programming from its Eurosport channel, including Olympic Games, on the social-media sites in Europe, Chief Executive Officer David Zaslav said. 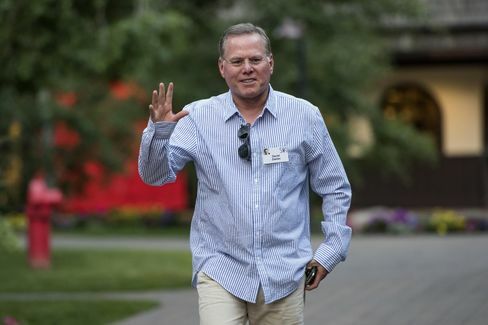 The Internet companies approached Discovery and Eurosport, its pan-European sports broadcaster, for deals to stream sports content, Zaslav said in an interview during the French Open tennis tournament on Thursday. Discovery owns the European television rights to four Olympics games, starting with the Winter Games in South Korea in early 2018. The Rio de Janeiro games that start in August aren’t part of the package. Deals with Facebook or Twitter have the potential to expand Eurosport’s reach by drawing younger social-media users to the Olympic Games, one of the oldest sporting events on the planet. It’s an audience that’s been dwindling in recent years as younger people ditch traditional TV in favor of viewing content on mobile phones and tablets. Last year, Discovery agreed to pay 1.3 billion euros ($1.5 billion) for exclusive European broadcast rights to air the Olympics, which it will show mostly through Eurosport, in a bid to strengthen the network and give it heft in negotiating deals for sports rights. Known in the U.S. for reality shows such as “Alaskan Bush People” and “Deadliest Catch,” which features life on board fishing vessels in the Bering Sea, Discovery today earns about half its revenue outside its home country. The Silver Spring, Maryland-based company has committed $5 billion to sports over the next 10 years, Zaslav said. 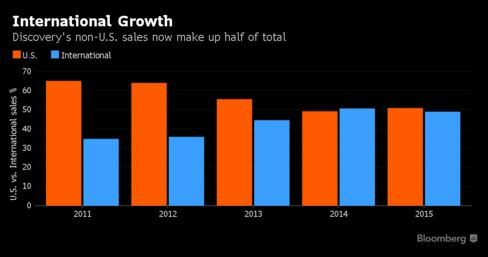 It’s also building up its presence in Asia through sports and kids’ content, he added. Under a potential digital deal, Discovery would air live sports as well as behind-the-scenes content and interviews, betting that would also drive people to switch on Eurosport on TV. It’s also looking at selling advertising around the social media spots that would allow a brand to stamp its logo over the content or run ads before the clips.